Basing price on needs or emotion rather than market value. Many times, people make their pricing decisions based on how much they paid for or invested into their home. This can be an expensive mistake. Overpriced homes take longer to sell and eventually net the seller less money. Consult with a professional real estate agent. They can assist you in pricing your home correctly from the beginning. Failing to “Show-Case” their home. First impressions are the most important. 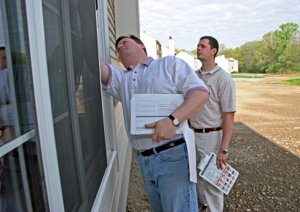 Experience shows that for every $100 in repairs that your home needs, a buyer will deduct $300-$500 from their offer. Thoroughly clean and prepare your home before you put it on the market if you want top dollar. Signing a listing contract with no way out. Most traditional real estate agents want you to sign a listing contract with no way out. When you list your home with me, you can cancel your listing agreement at any time, no questions asked. Choosing the wrong agent for the wrong reasons. Many homeowners list their home with the agent who tells them the highest price. Or they list with the agent who works for the biggest company. You need to choose the agent with the best marketing plan and track record to sell your home. Not knowing all of their legal rights and obligations. Real estate law is complex. The contract that you will sign when selling your home is legally binding. Small items that are neglected in a contract can wind up costing you thousands of dollars. 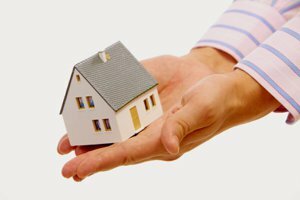 You need to consult a knowledgeable professional who understands the in’s and out’s of a real estate transaction. Here are 5 Expensive Mistakes Homebuyers Make. Not knowing how much mortgage they can afford before they make an offer. The easiest way to avoid this mistake is to get pre-approved for a mortgage by a lender so you know in advance exactly how much you can afford. Most pre-approvals are free and it will give you a basis to make a more informed purchasing decision when you find the house you like. Not realizing in advance who the real estate agent represents. Most people think that the agent they are working with is working for them. But unless they are working as your buyer representative, they represent the seller. There are different types of agency relationships you can have with a Realtor, make sure that you are clear on your options. Not realizing that the wrong mortgage can cost thousands of dollars in needless interest and taxes. Check with your accountant before you make your final decision on which mortgage you are going to choose. Your CPA will be able to tell you what the long term effects will be on your income, your taxes and the equity you build in your home over time. Most people aren’t aware that with a standard 30 year mortgage they will be paying two and a half times the amount of the mortgage in payments. With some planning in advance and a simple strategy they can cut the amount of interest they pay dramatically and own their homes sooner. Not discovering hidden defects before they buy a home. One of the most expensive mistakes is also one of the easiest to avoid, by having a professional pre-purchase home inspection. Don’t get stuck with a money pit. The cost of a professional home inspection is usually a few hundred dollars, but the peace of mind it can give you and the expense you can avoid needlessly is in the thousands of dollars. Not knowing how much their credit can affect their ability to buy or refinance a home. Before you buy a home, many of the clouds on your credit history can be cleared up or even eliminated. Your mortgage professional can help you review and prepare your credit file in advance.